Don’t look now, but the second-biggest subscription streaming service -- along with a new offering from one of the country’s biggest media companies -- are both beginning to hone their visions for what their services will offer moving forward. Both Hulu and WarnerMedia used the Television Critics Association Winter press tour last week to tee up new programming, laying out a vision for what they would be in a world where Netflix is king, and where they are fighting to maintain market share. For Hulu, the challenge is even more complicated: Once Disney closes its acquisition of Fox, Disney will own 60% of the streaming service. At the same time, Disney is launching another service, Disney+, later this year. 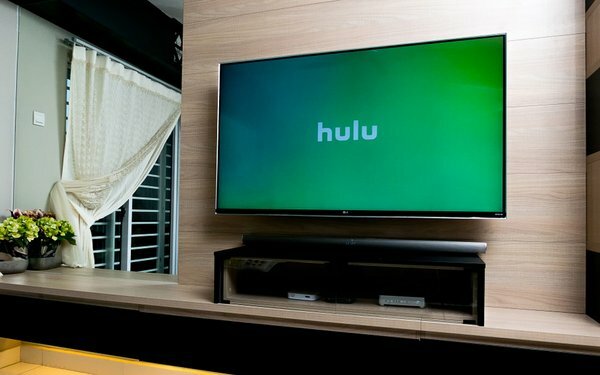 What is Hulu’s place in the market when it will be owned by Disney, and has to compete with a Disney-branded streaming service? The order was interesting because Disney has said that Marvel will be a centerpiece of Disney+, so why are these shows going to Hulu? The shows Hulu ordered are geared specifically for adults, while Disney+ is aiming to have family-friendly fare. In other words, Hulu is readying for a future where it caters primarily to adults, while Disney+ caters to families. WarnerMedia’s still unnamed streaming service, meanwhile, is also taking shape. WarnerMedia’s top programming executive Kevin Reilly outlined some of the company’s plans at TCA. For starters, don’t expect WarnerMedia to continue sharing its most prized IP, such as “Friends,” which currently runs on Netflix. "Sharing destination assets like that, it's not a good model," Reilly said. "They should be exclusive to the service." While Disney is betting on two services to appeal to families and adults, WarnerMedia’s offering will be a one-stop shop, with HBO, kids and family, and adult-exclusive programming. It will also have both a premium ad-free service and a more accessible ad-supported offering. Original programming for the streaming service will come in 2020, ramping up into 2021. The company recently tapped an executive, Sarah Aubrey, to head up originals for the service. This is shaping up to be a pivotal year for streaming video. With Netflix continuing to grow, Hulu catching up, and multiple compelling competitors set to enter the marketplace, the landscape is getting just a bit clearer. Now the only question is whether consumers will be on board with the new options.